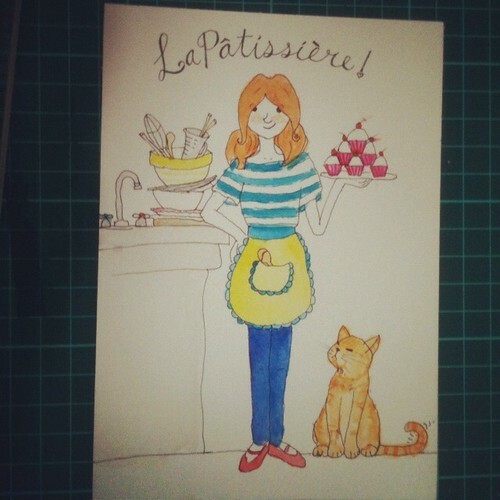 More outgoing mail, this time a hand illustrated postcard off to France! I carry some kind of sketch kit with me nearly at all times. and a pallete made from scribbling my caran d’ache water soluble crayons onto some sheer heaven. The larger type kit that comes with my when i intend to draw. Pens: in my fantastic stand up pencil case i carry a variety of drawing implements and water brushes. I’m a little obsessive about creating travel kits. While i’m showing my obsessive side, here are my water brushes and my current crop of pens.